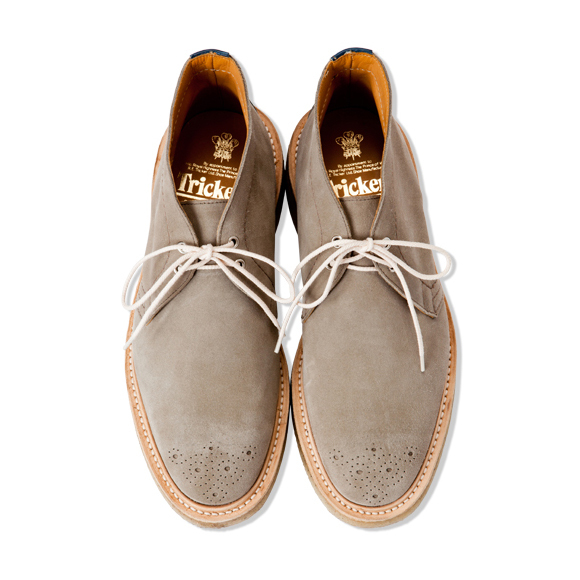 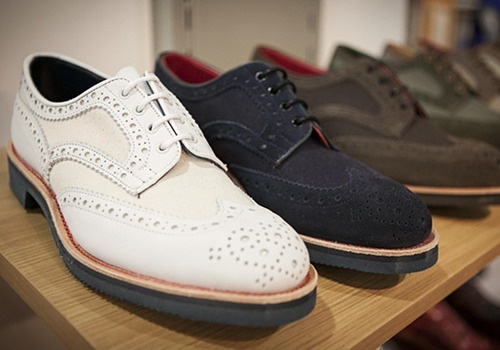 The latest collaboration with Tricker’s and END Clothing drops Friday the 23rd of August. 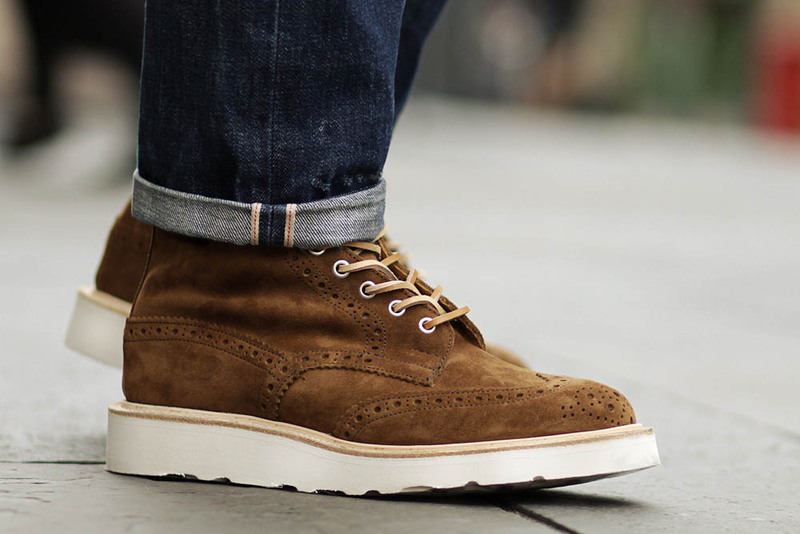 The Stow Brogue will be available in 3 colorways: shale, snuff and midnight blue – all in Repello suede and all sitting on a thick white Vibram sole. 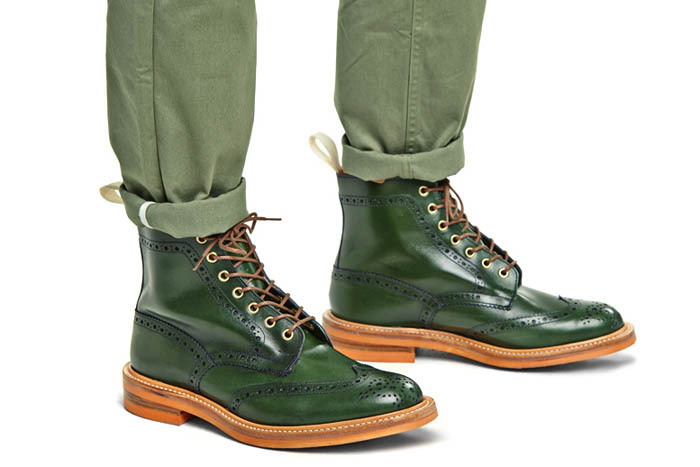 Beautiful colors, shoes by Tricker’s. 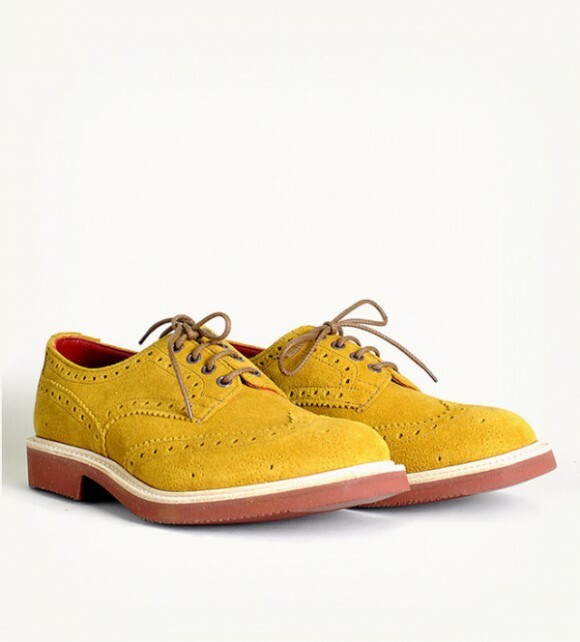 Suede leather uppers in classic brogue fashion – in the color known as ‘curry’. 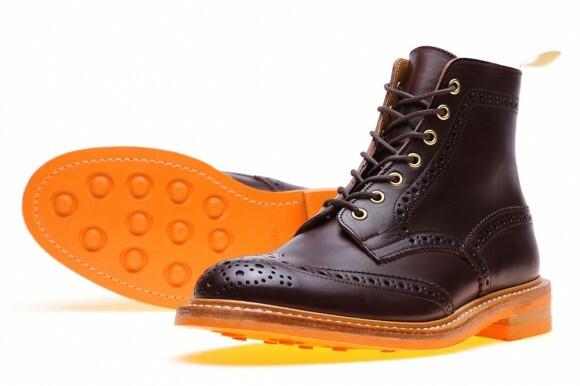 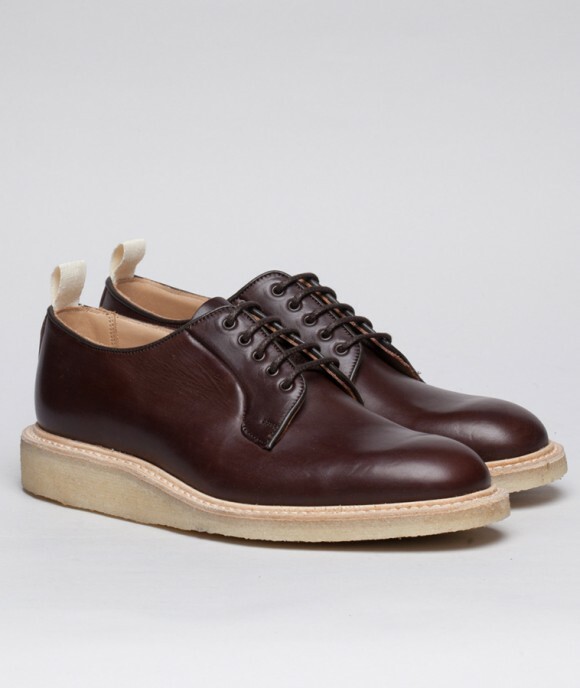 A 50% Effort from Tricker’s x Norse Projects Derby? 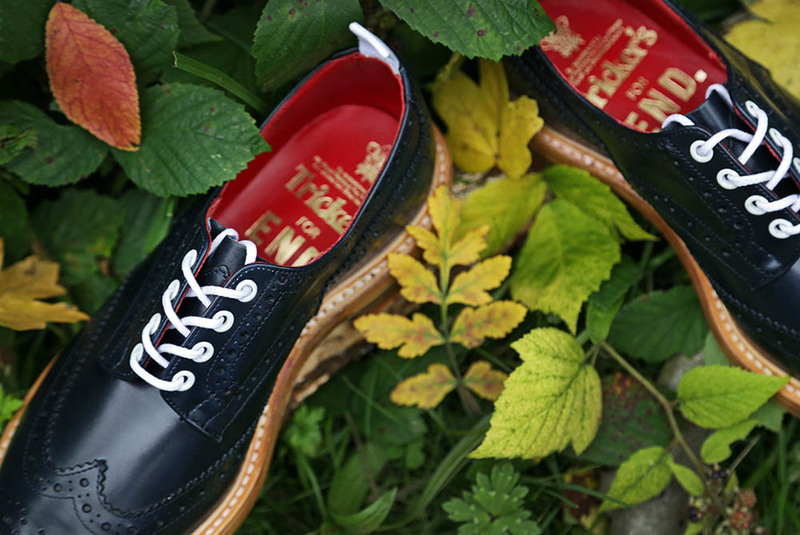 English shoemaker, Tricker’s is at it again with an interesting take on a wingtip brogue. 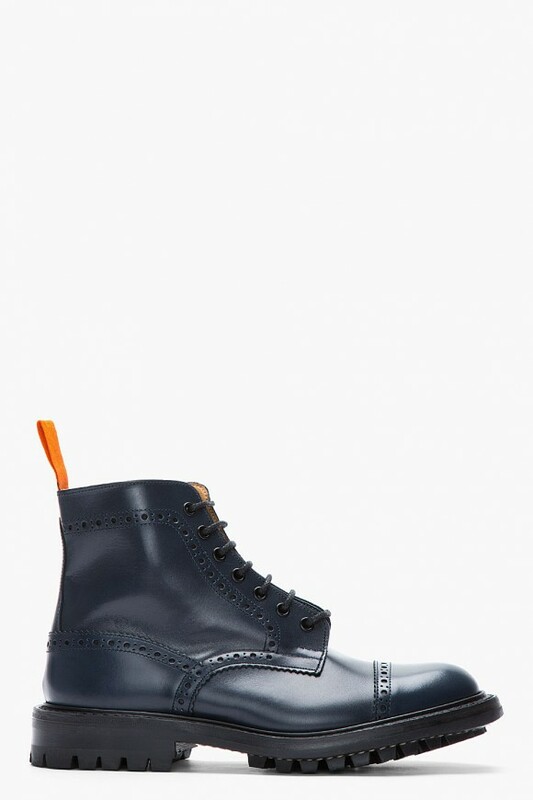 The toecap on the Tricker’s Sheene is actually patched over, concealing the classic wingtip design. 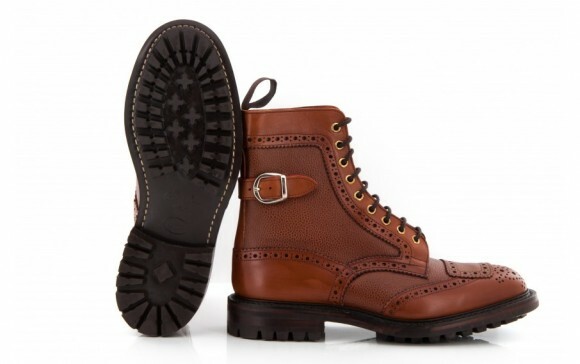 The boot is multi-textured in pebbled and smooth leather and comes equipped with a commando/lug sole.